Airbrushing is gaining popularity among carvers of decoys and waterfowl. 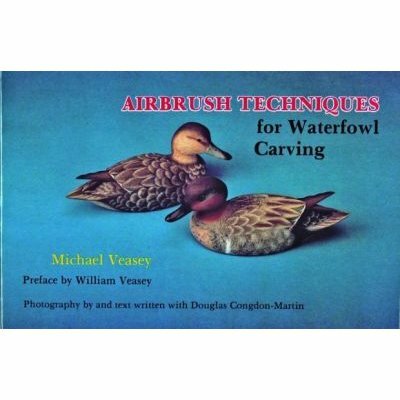 Since 1987 Veasey Studios, under the supervision of Michael Veasey, has sealed, undercoated, and accomplished the basic color blending on approximately 40,000 carvings using the airbrush. In this great new book you will see just how easy it really is to use. With step-by-step instructions, you will move from the beginning to finishing a drake and hen teal duck. When you are finished you will find that the airbrush, when used in conjunction with traditional brush techniques, will add to your joy of carving and the quality of your work.